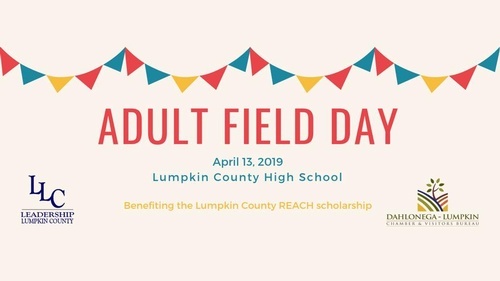 The mission of the Leadership Lumpkin County Class of 2019 is to have an indelible and positive impact on the Lumpkin County community by advancing the post-secondary educational opportunities for local students. How much fun would it be to reverse the role of student and adult for an annual event? Teams can register online at reachfieldday.com or contact us at reachfieldday@gmail.com for a paper registration form. Each team will consist of 5 team players at $25 per person and includes a participant t-shirt. To guarantee a t-shirt, teams must register by March 17, 2019. Final team registration is April 1, 2019. This event is open to the public! We will have concessions, bouncy houses, dunk booths, and more for family fun! Teams have the ability to win cash prizes as listed below. The team with the most spirit will receive the coveted Spirit Stick!